Eritrea national team wins the 2017 African Continental Championship TTT for the seventh consecutive time in the Men’s elite team and the second time in the Women’s elite team. 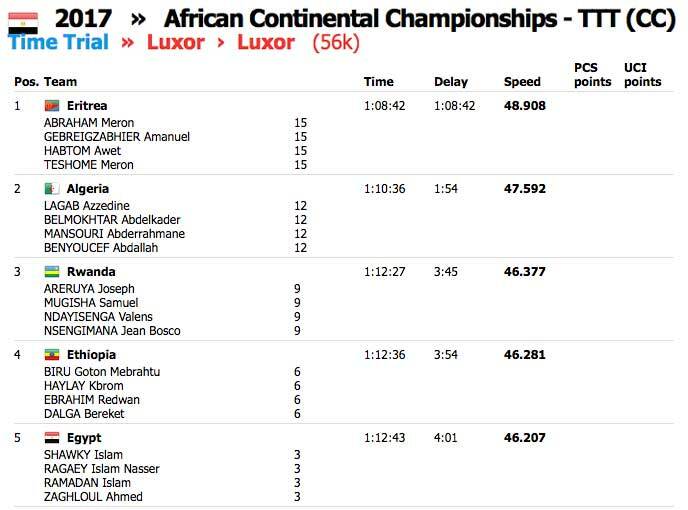 The 2017 African Continental Cycling Championship that starts today in the Egyptian city of Luxor witnessed the extraordinary performance of the Eritrean National Cycling team that comfortably won the 57.8Km Team Time Trial (TTT) both in the elite men and women. Neither Luxor’s sweltering heat nor the participation of the continents finest cyclists can deter the indomitable Eritrean riders from scooping the available 8 Gold Medals of the day. 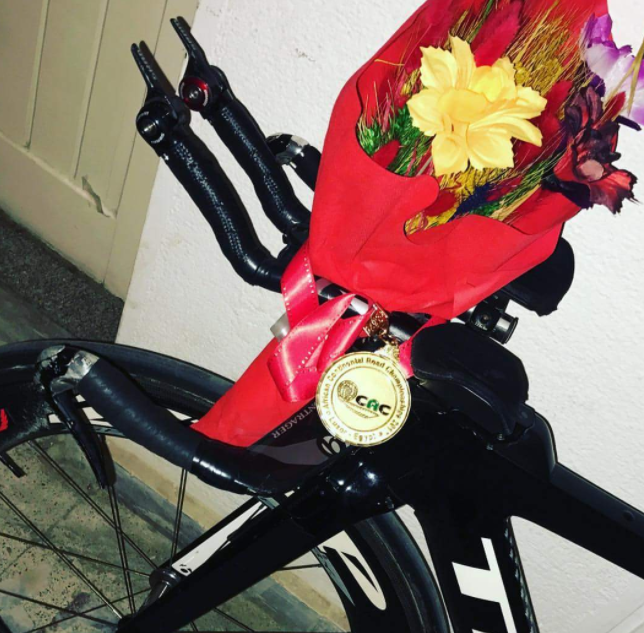 Winning this edition of the African Championship was another great milestone for the Eritrean elite men’s team as it turns out to be their unprecedented record 7th consecutive victory. For the Eritrean women team, it is their second victory of the championship since they scooped it first time in 2013 in Sharme-el-Shiehk, Egypt. Ever since 2010, the Eritrean national team dominates the African Continental Championship competition and yet, no other national team on the continent was managed to upset their absolute dominance. In this edition of the time trial, Eritrea was represented by Meron Abraham, Meron Teshome, Amanuel Gebregziabiher and Awet Habotm in the Men’s elite group. Wehazit Kidane, Mossana Debesay, Bisrat Ghebremeskel and Wegahta Ghebrehiwet represents the women’s elite team. A total of 24 African national teams have participated on the time trial today. 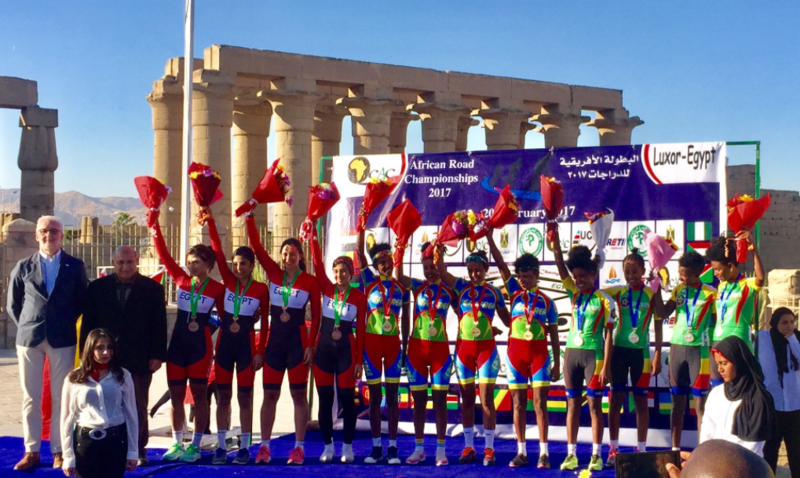 The Ethiopian and Egyptian national teams finished second and third in the women’s elite race while Algeria and Rwanda in the men’s competition. ኮሖላ/Kohola … I love the song , anyone knows who the artist is? Thanks in advance. አይበልናን ዶ !! Congrats Deki Eri ???????? ???????? this reminds me of yohana dawit. WHATEVER happened to her??? We are becoming spoiled. Too many gold medals. 7th year in a row as African Champs. That’s just awesome! It’s very difficult to accomplish. And mind you this current Team Eritrea that won this year in 2017 does not even include Merhawi Kudus, Natnael Berhane or Daniel Teklehaymant. My Gosh! We are Africa’s POWER HOUSE. No ifs or buts. Happy Valentine’s Day Deki Ere. The #1 love of Eritrean is E R I T R E A. This is just the “tip of the iceberg” Yohana! Sooooo proud! Congra.our champs,Imagine this victory is without our Elite cyclists Daniel,Natniel,Merhawi.I hope they win it all by Sunday Feb.20th. Yes!, that gives me more confidence in our cycling federation. ደቂ ፈንቅል፣ ዉላድ እግሪ መኸል ኢኹም! Thanks ራኢ bro. Wonderful poem as always. Will be shared on Facebook. Awesome Poem! !, it seems you can write a a beautiful poem faster than I can make a cup of Hot Tea. –Thanks. 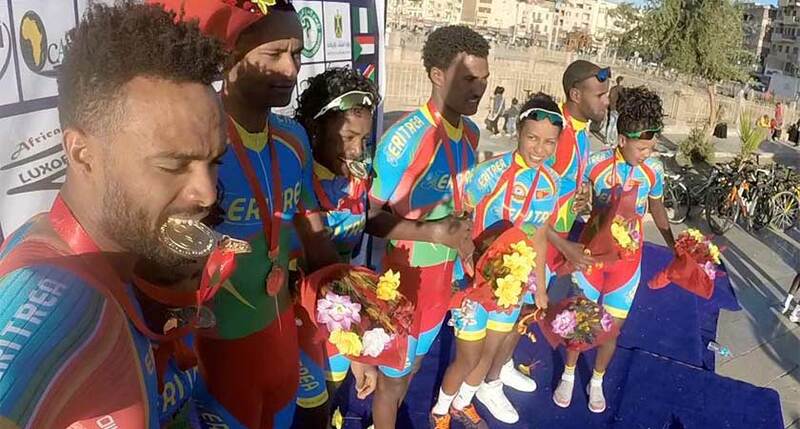 Congratulations to Our Young Men & Women Eritrean Cyclist. Our young men cyclist have immediately & responsibly taken the challenge of Championship role of our yesterday’s African champions ( … Merhawi, Natnael, & Daniel) who are currently pursuing championships beyond the continent of Africa. 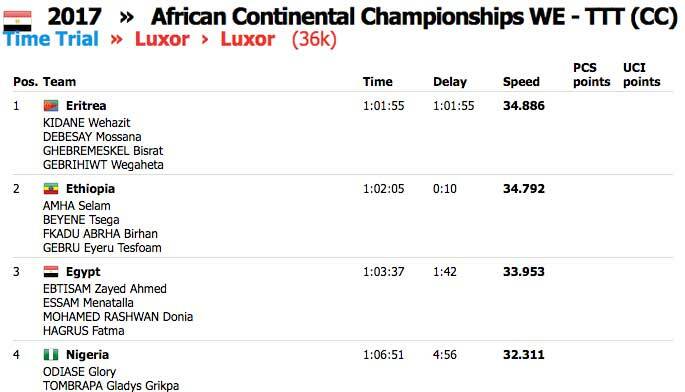 Eritreans all over the planet, including our cyclist who are competing outside Africa, are very proud of you. Our Eritrean beautiful Ladies Cyclists, what a Golden start, keep it up. Kudos to our Excellent Cycling coaches, you are producing Golden Eritrean Women and Men cyclist. It is awesome to defend the championship for a decade long, it is simply amazing. The other even more impressing victory is that of our Eritrean sisters who have managed to win the African Continents TTT Womens Elite 2017, rewarded with the gold medals. It is the fruit of a hard and disciplined work it is not just a dream which happened to be true. That’s what happen to me right now. I can not thank them enough as I am speechless. Now that they are entering in to the most difficult and challenging race, that is individual time trial (ITT) and the final Road Race. The other races like king of mountain, under 23 champion won’t matter to keep our 7th successive win over the African championship. Let’s hope our boys and girls will come out victorious in the above two most crucial races. Congratulations! You are riding the wave of success! The most amazing thing that has happened this year…Fenkil & its your Victory… All of you are the best & We the Eritreans are very proud of you…You don’t always get what you wish for…But you get what you work for! Congrats…long live EPLF…Long live Eritrean People…. Did you guys noticed the riders from Ethiopia are all coming from one region – Tigray? Is it because there are no cycling talents other than in Tigraya or is it the usual ethnic and regional politics or nepotism? I don’t know ……. I do not think so the other regions lacks talented riders specially the capital city and its surounding. But the privileged region right now is Tigray the Wayanes darling and foothold before the storm around the corner washes away some time soon. History repeating itself again and again. Let the world be aware about Eritreanism.